Volunteers counted species both ordinary and unusual Friday around the Island. One immature bald eagle, five snowy owls, 22 great blue herons and a thick-billed murre. This was just part of the tally Friday for the annual Audubon Christmas Bird Count, when hundreds of volunteers fanned out around the Island in bitter cold conditions to conduct a formal species inventory. Teams scoured 13 territories. Luanne Johnson, a wildlife biologist who is director of BiodiversityWorks, organized the count for the third year. It began before dawn with an owl hunt. Three cars rumbled into the Manuel F. Correllus State Forest headquarters in a negative-degree chill. Bundled men and women with flashlights climbed from the cars and greeted the members of their team. The crew walked to the edge of the woods, frozen grass crunching underfoot. In the frigid predawn darkness, birder Pete Gilmore hit play on a boom box preloaded with owl calls. The team waited. Mr. Gilmore has been birding since 1951. 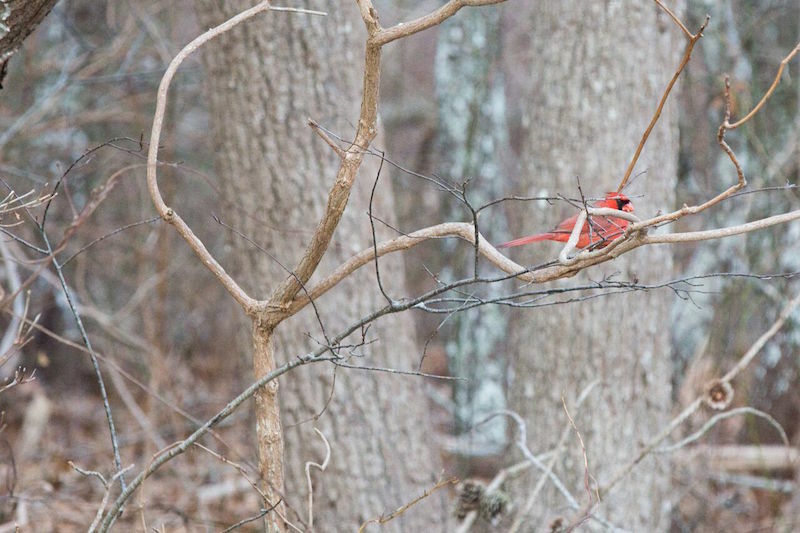 “He’s a latecomer,” said lifelong birder and avian photographer Lanny McDowell. The crew of old friends didn’t have to wait long. An eastern screech owl answered the call. The team silently flocked to the source of the sound and two flashlight beams zeroed in on the small bird. The owl stared back before swooping out of sight. Another called from farther away. “It feels good when there are owls around,” Mr. McDowell said. The screeches would be their only owls of the morning. The group searched for more birds deeper in the woods but there was only stillness and silence. Mr. McDowell remarked on the bright stars in the sky. Ms. Johnson made her way to Felix Neck Wildlife Sanctuary in Edgartown where she met up with Tom Chase. Together they inspected the bird feeders. “A great place to see small songbirds,” Mr. Chase said. But as a streaky sunrise began to faintly illuminate the grounds, the feeders were silent. At 5 p.m. that evening, Kayla Smith and Tony Lima shared dinner at the end-of-day tally at the Wakeman Center in Vineyard Haven. 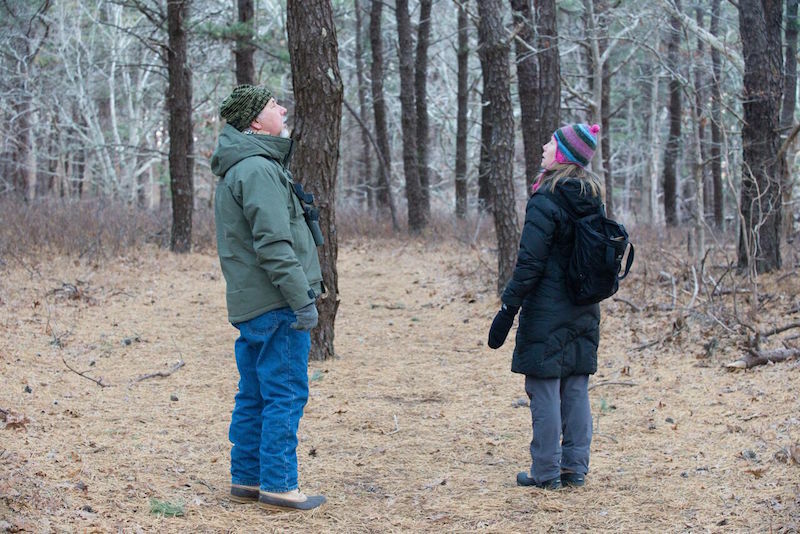 Ms. Smith and Mr. Lima are a few decades younger than many of the veteran birders. They lit up when they described the best findings of the day in their Chappaquiddick territory: a hooded merganser, snow buntings and five snowy owls. Ms. Smith is an aspiring ornithologist. 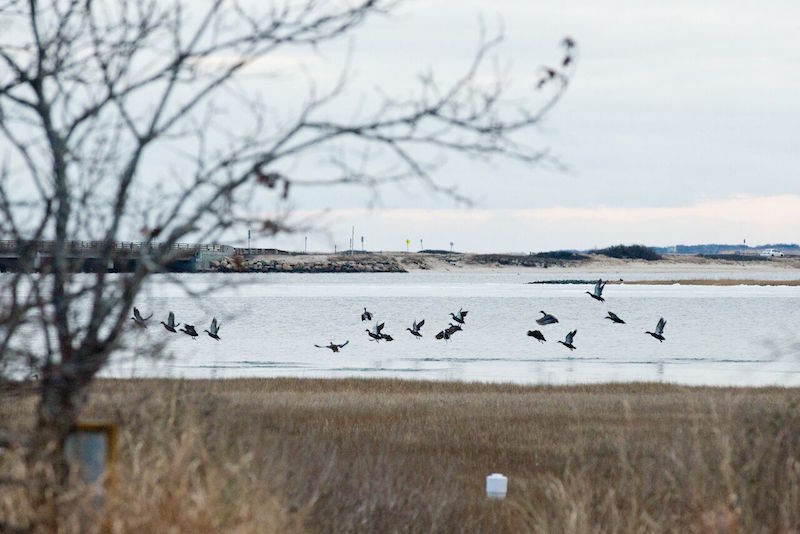 Others filed into the Wakeman Center and began to share their “best-ofs.” Ken Magnuson and his his team saw a Ross’s Goose in Katama, a bird that was once rare in the region but which is now increasingly making its way East. Ulrike Wartner told the story of finding what her team thought was a long-eared owl. One birder assumed his call was being answered by the owl, but in fact it was another birder. The two humans called back and forth to each other until they realized the gaffe. They saw a real long-eared owl later. Other highlights included a juvenile bald eagle with a huge beak, 19 screech owls, 22 great blue herons, 28 hermit thrush, pacific loon, red-necked grebe, thick-billed murre, tree swallow, eastern phoebe, ruby-crowned kinglet, lesser scaup, and king eider. Many species that the group hoped to find were absent. In total, more than 22,000 individual birds of 119 species were identified. Mr. Ben David’s highlight of the day was the yellow-bellied sap-sucker and a close-range peregrine falcon. “Some of the best birders in New England are in this room tonight,” he said. Similar bird counts take place around the country, all on the same day. The data provides an opportunity to analyze decades-long changes that could be a result of climate change, habitat development or other factors. When the branches are empty, scientists have information to help figure out why. After dinner, the final numbers were entered. Some special sightings were congratulated and a few were challenged. Some Canada geese had been counted twice and the number needed to be reduced. 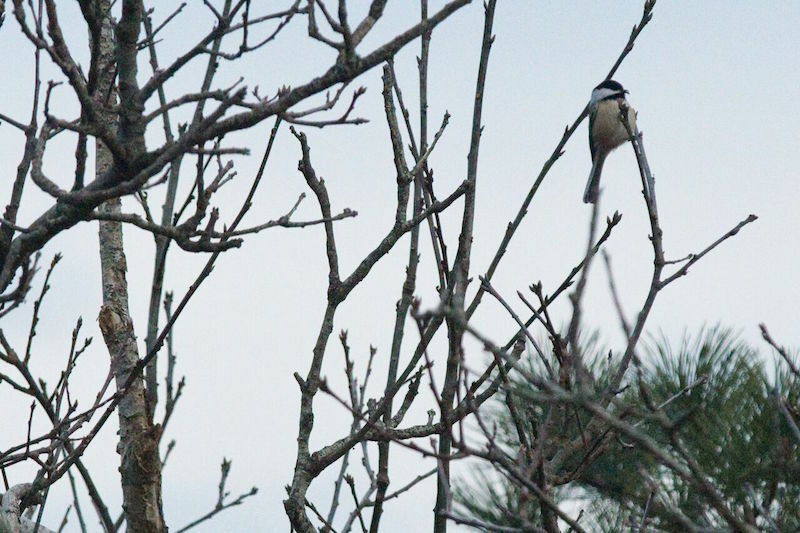 More photos from the Christmas Bird Count. Kayla Smith and Tony Lima may be younger than many other birders on the island, but they are bright, curious people who are engaged naturalists and stewards of the land.